Previously on this Review, Glenn Beck's friend David Barton was exposed as a liar, a liar so deceitful that he makes claims that he knows go against his very own research on a subject. Last Monday, April 18th, Lawrence O'Donnell took up the subject of Mr. Barton, whom Beck has called "the Library of Congress in shoes." The Religious Right's leading practitioner of this type of historical revisionism is David Barton ... Barton makes a lucrative living traveling the right wing's lecture circuit where he offers up a cut-and-paste version of U.S. history liberally sprinkled with gross distortions and, in some cases, outright factual errors. Crowds of fundamentalist Christians from coast to coast can't get enough of it. Rev. Randolph Bracy, president of the Orange County, Florida chapter of the NAACP has referred to Barton as a "Holocaust-denier, an anti-Semite and someone who has called for the death penalty for gay and lesbian people", stating that Barton has "a long history of being related to the worst fringes of our society." Update, 4/29/11: For those who want more information about David Barton, read the excellent piece "Meet the Religious Right Charlatan Who Teaches Tea Party America the Totally Pretend History They Want to Hear" on AlterNet. David Barton is in many ways emblematic of politics in Fox News - Tea Party America, in which facts are distorted in service of a right-wing ideological agenda, and in which political opponents are denigrated as enemies of faith and freedom. Barton’s work has repeatedly been debunked by historians and scholars, yet conservative political leaders and pundits continue to promote his manipulations in order to help Republicans get elected and in order to advance the Religious Right’s – and now the Tea Party’s – political agenda. It is urgently important for scholars, public officials, and responsible media outlets to vigorously challenge efforts by Barton, his supporters, and the movements they represent to miseducate current and future generations of Americans on the Constitution and the abiding American values of religious liberty, equal opportunity, and equality under the law. Zinn told history from the perspective of a class of people. Barton simply makes things up. Zinn tells the people's history; Barton conveys fictions. Barton is a liar; plain and simple. Google and read the free online copy of Liars for Jesus. 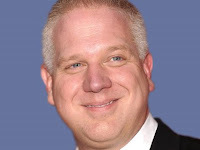 Who does David Barton and Glenn Beck fear the most? Roger Williams and John Leland. Why do they fear these men? Because they founded the Baptist Faith in American and were staunch proponents of the separation of church and state. Any time these to founding fathers are introduced to a discussion, the post is deleted and poster banned from Barton_Beck Pages and sites. Even among the harsh criticism of the lies and ad hominen, they will leave the attacks on their lies and character, but urgently delete any mention of Williams, Leland, and "Individual Liberty of Conscience". I think more of us need to introduce this to more discussions. There is a lot of closure on right wing web sites like Beck's for example. Until recently, I've been allowed to post critical comments on Beck's website, but during this elections year, my critical comments about Ryan have been deleted. All of my comments are not being deleted. Beck claims to be a proponent of free speech, but with an election on the line, that has gone by the wayside. This, of course, makes it impossible to even try to reach the followers of Barton/Beck.